MANCHESTER (Sporting Alert) — Shinji Kagawa trained in the last two days but is still doubtful for Manchester United’s Champions League Group A opener against Bayer Leverkusen at Old Trafford on Tuesday. Kagawa has been battling with a virus, following his return from international duties with Japan and missed United’s 2-0 win over Crystal Palace on Saturday. The midfield playmaker, who is yet to feature in the English Premier League (EPL) so far this season, is hoping for a speedy recovery and Manchester United manager David Moyes gave the latest updates and admits that Kagawa is feeling better. 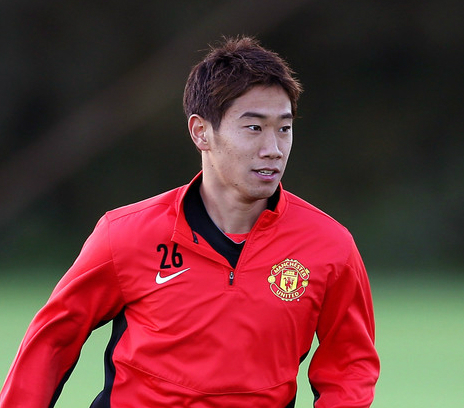 “Shinji is still feeling down his throat and has a bit of ‘flu,” Moyes said on www.manutd.com. Manchester United have been drawn in Group A of the Champions League alongside Tuesday’s opponents Leverkusen, Real Sociedad and Shakhtar Donetsk and Moyes revealed that his predecessor, Sir Alex Ferguson told him that it was a difficult draw for the EPL champions. “After the draw, I phoned Sir Alex to talk about it, and he said he thinks it’s one of the hardest draws United have ever had in the Champions League,” Moyes said.